Sports massage, not your normal massage! Here it is more than just a massage. 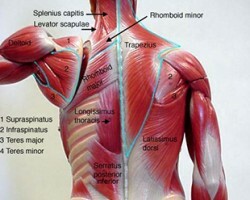 It's learning how your muscles all work together and depend on each other to perform at your highest level. Client focused, with the goal of fixing your problem. Education provided to help you understand why specific areas are causing pain. The use of Kinesio tape to help increase blood flow and aid recovery. Phone, Tablet or Computer? Book it on the go!